I like all the features of this app except for the display. Using landscape mode in digital display setting, the display is not centered. The clock appears over to the right hand side. My suggestion is to make the display larger and centered and it would become my favorite app! This is exactly what I was searching for. I just wanted a good, basic bedside table clock and alarm and this is it. I tried many others that had weird bugs or a yearly subscription was required to get rid of the adds. 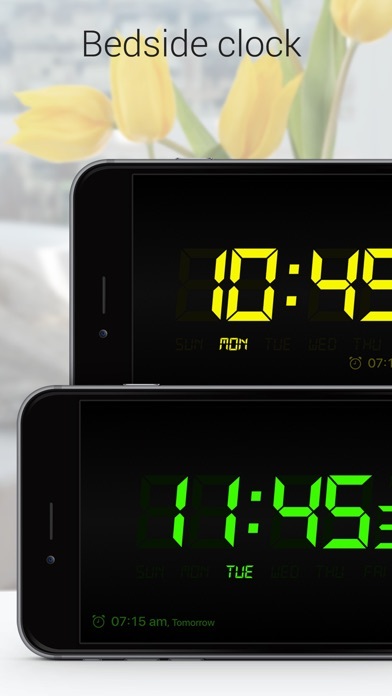 For a straightforward 4 bucks, you get a great bedside clock and alarm. I couldn’t ask for anything more. Thank you! Very satisfied with everything about this app . 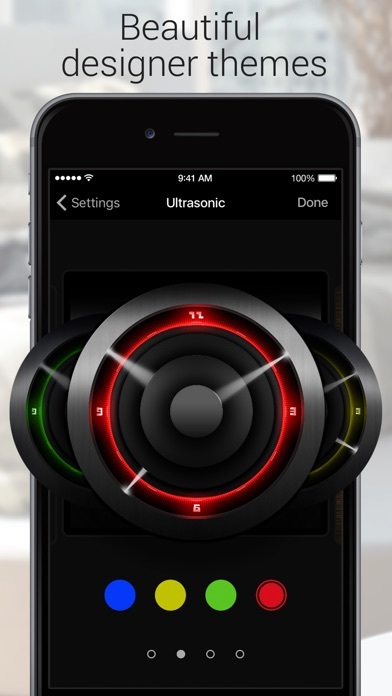 Even after selecting the song I would like to wake up to this app still plays its default sound. Very disappointing! 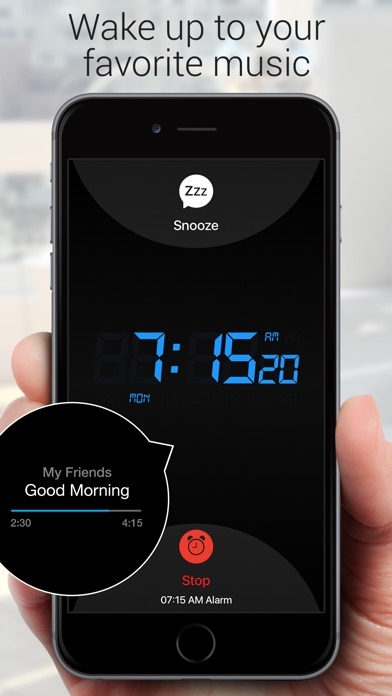 Nice app, but when you set the Alarm, it negates the iPhone’s Do Not Disturb function. I would believe this is because the app unlocks the screen. This morning I got 3 telemarketer calls before the alarm finally went off. Beware! 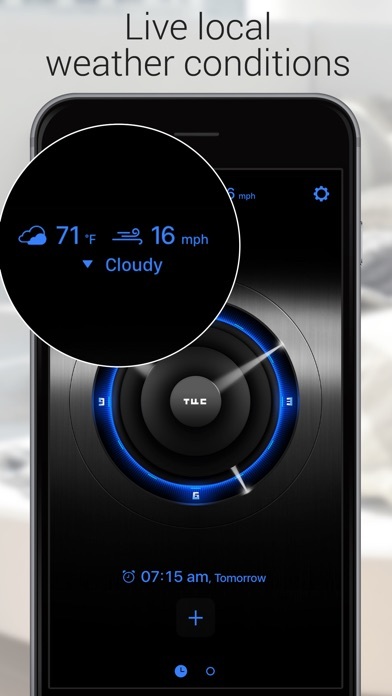 Two suggestions: Auto dim based on ambient lights levels. A bit larger gap between numbers so easier to read through sleepy eyes. Would be nice if the app would work without the device having to stay on all night. Other than that it’s alright. 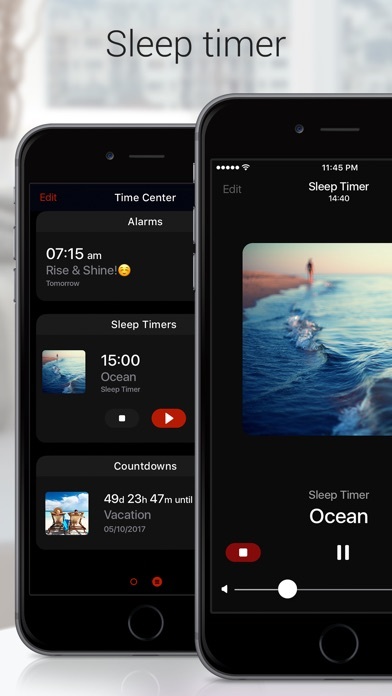 If the Repeat function for Alarm Clock and Countdown Timers had a Custom option, for varied schedules. Difficult to work horrible sounds, unable to get a loud alarm.